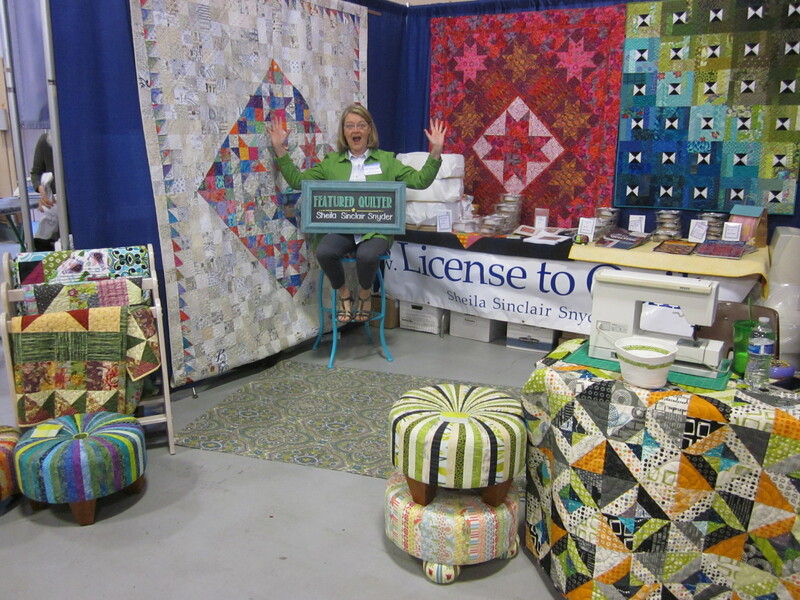 I love getting pics in the mail from quilters and crafters who have made projects using my kits. They seem to be mushrooming up all over the country, and internationally as well! Kathy and Doris from Aurora, MO. 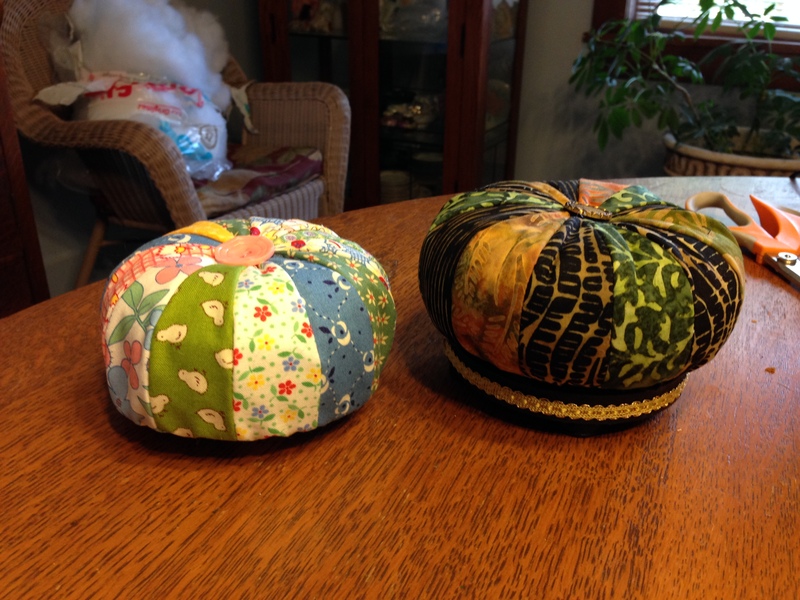 sent me this pic of their pincushions. LOVE that they are so totally different from each other! Notice they don’t have feet, not sure if they will be added later, or if this is the final outcome. Congrats on your fabric choices and finishing elements–as well and your FINISHING! Thanks for sharing! V & Co. Color Wheel footstool and pincushion! 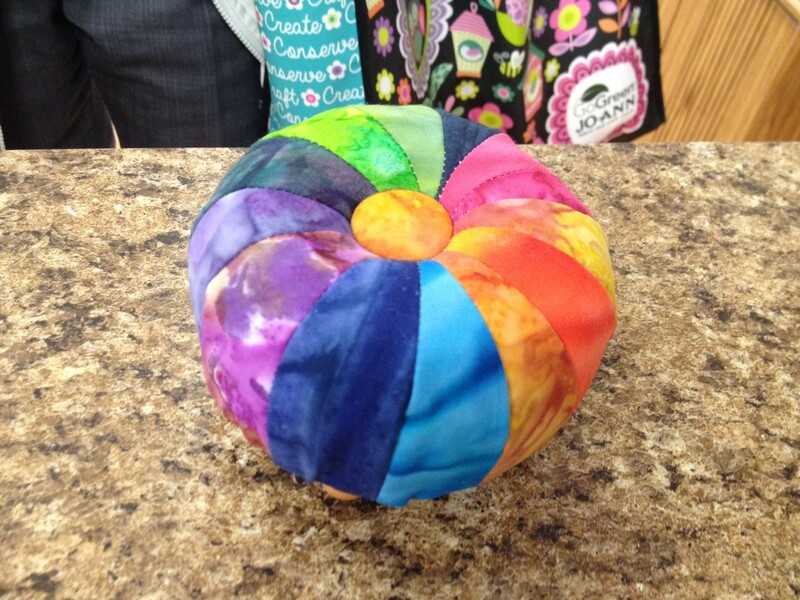 If you want to dream a little bit about making your own Color Wheel Pincushion or footstool, check my Shop Page!